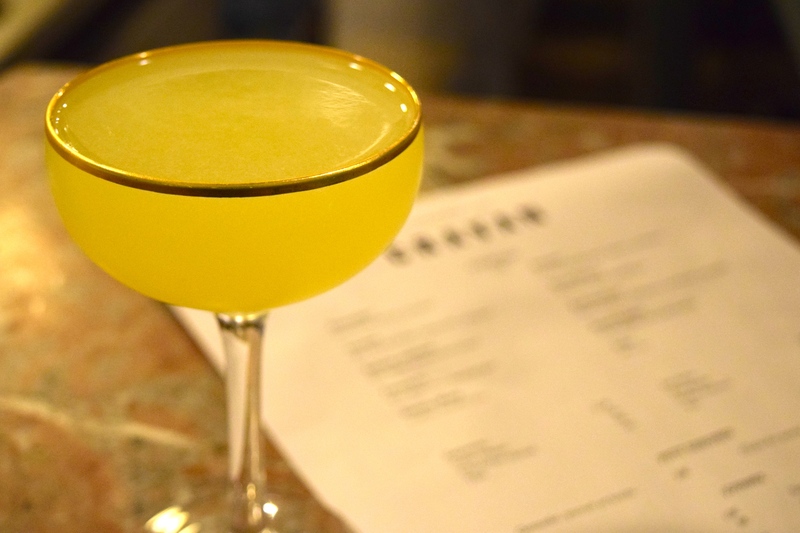 This little number has a lot going for it from a bright color and beautiful balance (not always easy when dealing with the assertive flavors of its ingredients Suze, gin and yellow chartreuse). 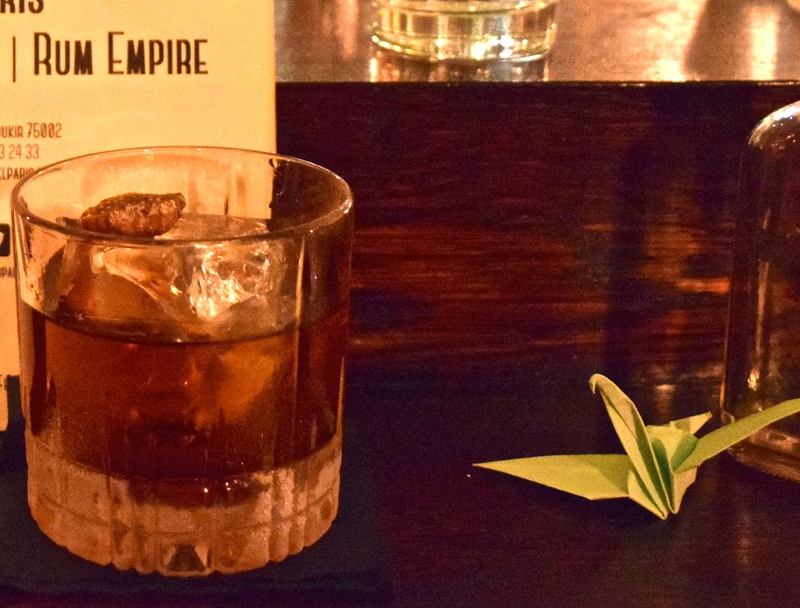 The entire menu is worth a little walk through at this pocket-sized bar in a sweet historical space in the sixteenth. 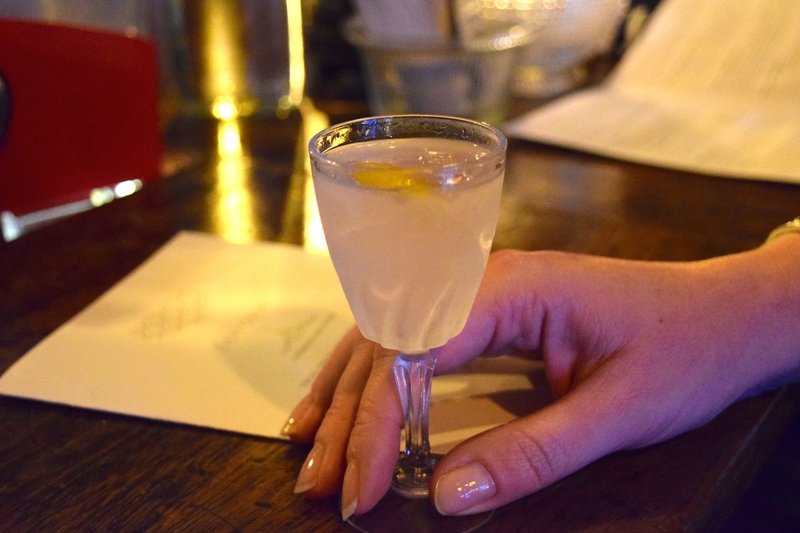 This trio of gimlets was from Remy Savage’s first cocktail menu after taking the helm of the Artesian bar. 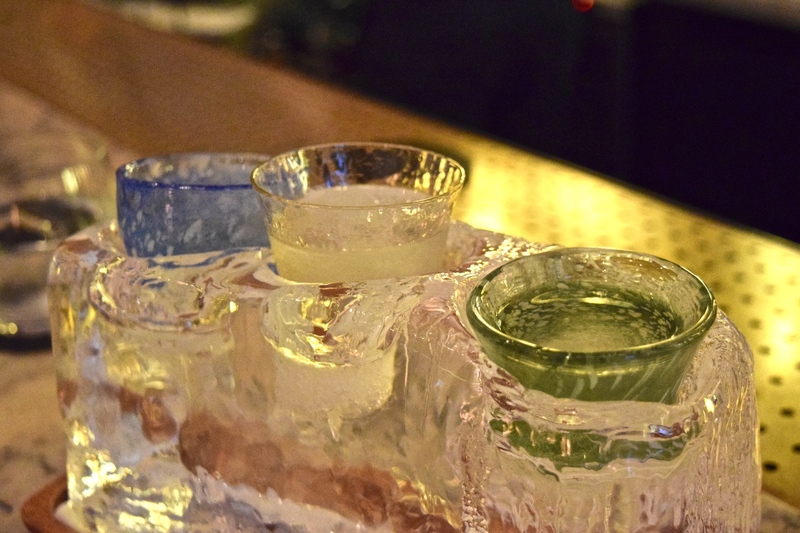 Sure, the space there is gorgeous, the service is flawless and the presentation was pretty with the gimlets served in three shot glasses in a nested in a block of ice. But, what was most interesting was Remy’s use of limes from three different countries and the differences in flavor was pronounced and enlightening. Plus it’s great to see Remy restoring this venue to its former cocktail glory. 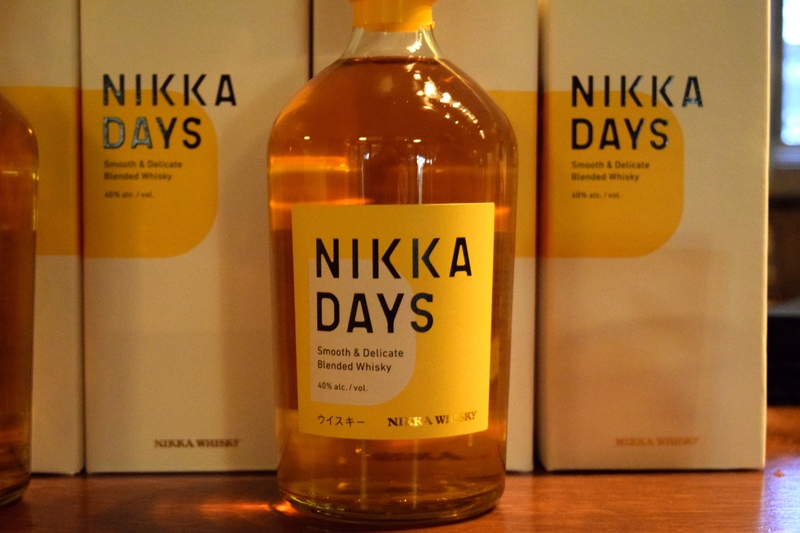 At a recent event celebrating the launch of Nikka Days at Frequence bar, I tried this snappy little Hi-Ball made with Nikka whisky, Umeshu, Verjus, Oleo saccharum, and tonic and kinda fell in love with it. It refreshingly brings together some unusual ingredients that can stand up to the tonic for a lively super summer-worthy cocktail. I’m hoping they decided to keep this one on the menu for awhile after the party. 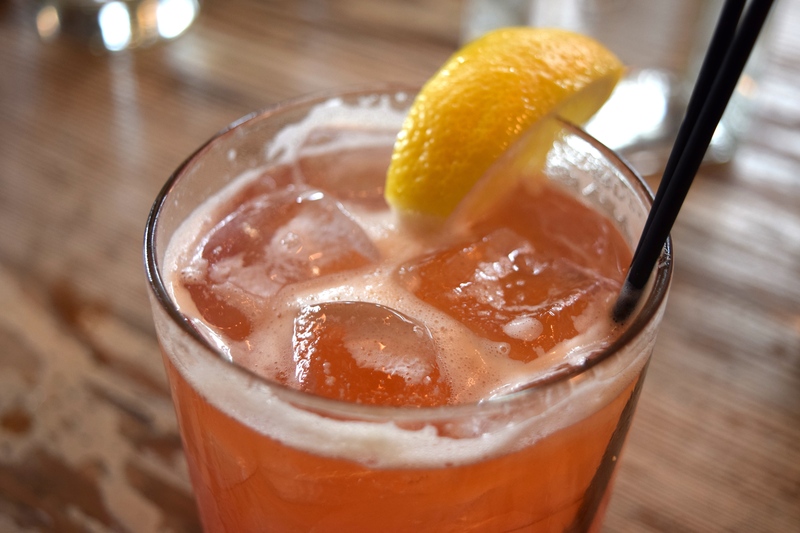 This brunch cocktail brings together rye whiskey, Campari, grapefruit liqueur, lemon and IPA. It was bright and fun and felt light and really reminded me how much I like grapefruit and IPA together. It also inspired me to work on some IPA grapefruit raddler like combos for my own brunches at home. Who doesn’t love an ice cold teeny martini served on tap in a totally cool little laid back pocket sized bar? They rotate through different gins so for a bit of variety. Both the drink and the bar are small but strong! And as a bonus runner up….